In some of the most critical medical emergencies, the time it takes to provide professional treatment can be a matter of life and death. Unfortunately, in many cases Rio Grande Valley medical centers, as good as they are, can’t meet some of those needs. Therefore, we welcome the announcement that Doctors Hospital at Renaissance and Med-Care Emergency Medical Services want to establish a Level 1, or top tier, trauma center at its facility in Edinburg. Currently, Valley residents who need certain procedures or care must be driven or airlifted to San Antonio, Houston or even farther away. That’s a long ambulance or even helicopter ride, especially when we consider that often, the people who need such care are least able to withstand such a long trip, and such a long delay before getting to a medical facility that can address their needs. Exacerbating the issue is the fact that some Valley cities run their own ambulance services and can’t make trips that far out of their jurisdiction. They must call in private ambulance services, lengthening the wait for patients to get on their way to the medical centers. Another consideration is the Valley’s placement at the end of the Atlantic hurricane corridor, and a medical crisis could occur during a storm when flooding, high winds or other conditions make roads impassible or air flight too risky. Also, because two-thirds of all Level 1 centers are grouped in three areas of the state, a major event such as a storm or tornado could make several of them inaccessible to patients from other parts of the state. Emergency and trauma centers are rated, from levels 1 to 5, based on the resources they have and the number of patients they can treat. The ratings are given by the states and verified by the American College of Surgeons. Centers are recertified every three years and they are rated separately for adult and pediatric care, according to the American Trauma Society, amtrauma.org. Texas Region V, which includes Cameron, Hidalgo, Starr and Willacy counties, does not have a Level 1 facility. 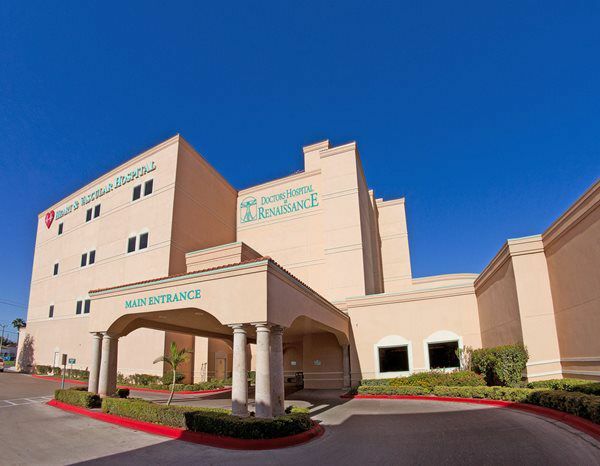 The Valley has one Level 2 center, Valley Baptist Medical Center in Harlingen, and it only earned that designation earlier this year from the Texas Department of State Health Services. DHR currently is at Level 3. Of the state’s 18 Level 1 trauma centers, 12 are clustered in the Dallas-Fort Worth-Plano, Houston-Galveston and San Antonio areas. That leaves much of the state without the top-tier trauma services, one of the largest regions of which is the Valley. A local Level 1 facility would address many needs, and erase the need for patients to return to faraway facilities for follow-up care. A Level 2 facility is capable of providing 24-hour care and access to both general and specialized surgeons that can perform such procedures as cardiac and microvascular surgery. They also offer continuing educational classes on trauma prevention and other programs for their staff and other medical professionals. Level 1 indicates the ability to also provide orthopedic and neurosurgery and other critical procedures. They offer more comprehensive educational programs for medical professionals and the public and conduct research seeking new and better methods of providing emergency care. DHR officials are confident their affiliation with the University of Texas Rio Grande Valley School of Medicine will help it meet the Level 1 standards. It’s a worthy goal that will help bring Valley residents more critical services that are sorely needed in the area.